The role and amount of homework to be assigned is the most controversial topic of discussion among educators: teachers, parents, administrators, psychologists, and researchers. Even politicians get into the fray. Researchers have been trying to figure out just how important homework is to student achievement. The Organization for Economic Cooperation and Development (OECD) looked at homework hours around the world and found that there was not much of a connection between how much homework students of a particular country do and how well their students score on tests (OECD, 2009). However, in 2012, OECD researchers drilled down deeper into homework patterns, and they have found that homework does play an important role in student achievement within each country. They found that homework hours vary by socioeconomic status. Higher income 15-year-olds, for example, tend to do more homework than lower income 15-year-olds in almost all of the 38 countries studied by the OECD. Furthermore, the students who do more homework also tend to get higher test scores. While the amount of homework assigned is associated with mathematics performance among students and schools, other factors (teacher competence in subject matter and classroom management; higher expectations from students, parents, and teacher; amount of classroom time allotted to content, etc.) are more important in determining the mathematics performance and achievement of school systems as a whole. Homework patterns among 15 year-olds, revealed that the children in western countries get much less homework than children in eastern countries. For example, students in United States and UK are assigned an average of five hours of homework a week compared to nearly fourteen hours in Shanghai, China, and nearly ten hours weekly in Russia and Singapore. There are many other studies about the role and utility of homework with conclusions ranging from assigning no homework to students should be assigned substantial daily homework. However, most such studies are survey types that describe the state of homework and opinions about homework. There are some correlational studies where students (or their parents) are asked about the amount of homework they do and the status of their mathematics achievement. These studies are also suspect as the responses are purely subjective. The problem with such studies is that the quality and nature of homework vary and is self-reporting. These are not causal studies. Most research indicates that it is not necessary to assign huge quantities of homework, but it is important that assignments are well thought-out—systematic and regular, with the aim of instilling work habits and promoting autonomous, self-regulated learning. Researchers emphasize that homework should not exclusively aim for repetition or revision of content, as this type of task is associated with less effort and lower results. Research has consistently found that students who work on their own on their homework, without help, performed better—score higher than those who ask for frequent or constant help. Most studies show that self-regulated learning is aligned to academic performance and success. Self-regulation, organization, and perseverance are important components of the complex of executive functions. When it comes to homework, how is more important than how much. Meaningful homework is a means to reinforce classroom learning in the home. Homework transfers learning from formal, socially guided learning to individualized responsibility and accountability. The impact of supervised and independent practice using effective classroom instructional techniques and well-organized homework is well known to teachers. Teachers know that both provide students with opportunities to deepen their understanding and skills relative to content that was initially presented and practiced in the classroom. Most teachers and parents know them as important factors in student achievement; however, what and how to make them real and useful is a problem. The objective of teachers’ assignments should always aim to have impact. Effective teachers, therefore, plan activities in such a way that they have the most impact. For assignments to have impact, students need to practice (a) choosing strategies and (b) have retention. Extend learning by making students responsible for their own learning. Practice to achieve fluency by initiative, preparation, reinforcement, preparation, and discipline of independent learning. For these reasons, daily homework assignments should not be busy work but should always be well thought out, meaningful, and purposeful. To achieve the stated goals of homework, it should have three components: cumulative items, current practice exercises, and challenge tasks. The integration of these tasks adds a key element of learning—reflection on one’s learning. Reflecting on one’s learning aids in the development of metacognition—a major ingredient for growth and achievement. Research shows that homework produces beneficial results for students in grades as early as second. I remember, my daughter wanted to do her Kindergarten homework too when her older brother was doing his homework. A routine was set. The earlier these routines are set, the earlier the formation of life time habits. The school, with teachers, should establish and communicate a homework policy during the first week of school. The policy should be uniform across grade and subject levels. Students and parents need to understand the purpose of the homework, the amount to be assigned, the positive consequences for completing the homework; description and examples of acceptable types of parental involvement should be provided. The amount of homework assigned should vary from grade to grade. Even elementary students should be assigned homework even if they do not complete it perfectly. Research indicates, to a certain limit, homework compliance and mathematics achievement are related. The curve relating the time spent on homework and mathematics achievement is almost an inverted “wide” parabola. For about every thirty minutes of additional homework a high school student does per night, his or her overall grade point average (GPA) increases approximately half a point. In other words, if a student with a GPA of 2.00 increases the amount of homework he or she does by 30 minutes per night, his or her GPA will rise to 2.5. On the other hand, oppressive amounts of homework begin to reduce its benefits. Homework is like exercise, difficult to start and keep up, but the more we do it, the better we get at it and, within limits, we can do more. Parents should keep their involvement in homework at a reasonable level. At the same time, parent involvement in the classroom should be welcomed. Parents should be informed about the amount and nature of homework, and they should be encouraged to have moderate involvement helping their children. Parents should organize time, space, and activities related to homework. Parents should be careful, however, not to solve content problems for students; they can give hints, or explain the method, but not give a method, which the student does not understand. Giving “tricks” to solve problems is not useful in the long run. There are no tricks in mathematics only strategies. An efficient strategy for others looks like a trick because they may not have the reason why it works. Not all homework is the same. That is, homework can be assigned for different purposes, and depending on the purpose, the form of homework and the feedback provided to students will differ. All assigned homework should be commented on and responded to because the benefit of homework depends on teacher feedback.Homework with the teacher’s written comments has an even greater positive effect on students. It provides a formative assessment, information how the student is doing. This also offers information for parents about standards, pedagogy, and methods of assessment. When homework is assigned but not commented upon, it has limited positive effect on achievement. When homework is commented on and graded, the effect is magnified. In addition to teacher corrected homework, homework can be self-corrected by the student with the teacher providing the answers. The homework can be peer corrected. Some homework is corrected publicly under the teacher’s guidance. Still, at least once a week, the homework is commented upon by the teacher. These comments should address common problems – lack of concept, misconceptions, poor language, inefficient procedures, poor organization, and misunderstanding of standards – as well as the efficient and elegant methods and concepts used by students. Homework is practice. Students should practice at least 30 minutes a day on their academics just as they would an instrument or a sport. If one plays multiple instruments or multiple sports, does one give only 30 minutes of practice for both? Of course not! The same goes for reading and math, science and social studies. Research shows about 1 to 1 hour per day (7.5 hours a week) of homework, on consistent basis, can achieve the goals of homework. Parents should be active participants in their child’s academic career. However, that does not mean doing the homework for their child because it would be counterproductive. They can make sure to remind their child to do the homework and that it gets completed. They can give suggestions when necessary and review completed homework. Homework is a child’s academic practice. He/she needs rewards and consequences and a great deal of encouragement. Administrators and teachers should do everything to impress upon parents to make sure that they, in turn, make learning a priority for their children and practice every day. However, schools should not make children’s achievement solely dependent on this variable. They should make sure that all children get enough practice in the school itself. The lessons should be planned and delivered in such a way that there is enough practice in the classroom so that children feel confident in tackling the homework themselves. A teacher should always ask: “Does the completion of homework have any impact on her instruction? Does it inform her instruction? Does it contribute to the teaching and learning of the new material? Does she learn something about the child and/or her teaching from it?” If the answer is affirmative to any of these questions, the homework is worth assigning. Can the goals of the curriculum and her instruction be achieved through some other means? If so, then there is no need to assign homework. However, if there is no homework, we have to find more time for instruction in the day or reduce the allotted time for regular instruction to be redirected to practice, reinforcement, and reflection. Both situations are costly. Therefore, we should always look for ways to improve homework compliance. Most teachers assign homework at the end of each section in the book: “OK, now do problems 1-25 on page ____.” Does this work for students? Not based on what I have seen and heard in my 56 years as a mathematics educator. To help students develop competence and confidence in math, teachers should be concerned with the quality of problems they assign in the classroom and for homework rather than the quantity. Most mathematics assignments (homework as well as practice activities) consist of a group of problems requiring the same strategy. For example, a lesson on the quadratic formula is typically followed by a block of problems requiring students to use that formula, which means that students know the strategy before they read the problem. Most times, they do not even read the instructions before solving a problem. Problem sets made up of only one kind of problem deny students the chance to practice choosing a strategy—that means thinking about the problems (reflection). When faced with a mix of types of problems on an exam, such students find themselves unprepared. These classroom or homework problem sets are called blocked assignments. The grouping of problems by strategies is common in a majority of practice problems in most mathematics textbooks. The framers of CCSSM (2010), recommend thatstudents must learn to choose an appropriate strategy when they encounter a problem. Blocked assignments deny such opportunities. For example, if a lesson on the Pythagorean theorem is followed by a group of problems requiring the Pythagorean theorem, students apply it before reading each problem. If all the problems for practice are direct application of the Pythagorean formula (a2+ b2 = c2, where a and b are the legs of a right triangle and c is the hypotenuse), then this direct “blocked” practice is a practice in algebraic manipulation, not a practice in understanding and applying an important geometrical result about right triangles and its role in higher mathematics. A bug flies 6 meters east and then flies 14 meters north. The bug flew 20 m to reach point B and the distance between A and B is about 15.3m. In this problem, students first draw a diagram. The diagram suggests a strategy. Then, they choose a strategy (Pythagorean theorem) to apply and then they execute the strategy. The choice of strategy means that a student is observing a pattern (mathematics is the study of patterns), recalling a theorem or formula suggested by the situation (learning is the residue of experiences and recall shows its presence), or noting the presence of certain conditions or language that suggest a concept, or a procedure (integration of learning). The choice of a strategy is dependent on understanding language, concept, and procedures involved in the problem situation. Learning to choose an appropriate strategy is difficult, partly because the superficial features of a problem do not always point to an obvious strategy. For example, the word problem about the bug does not explicitly refer to the Pythagorean theorem, or even to a triangle, right triangle, or hypotenuse. This kind of assignment is called interleaved practice where a majority of the problems (practice, homework, assessment tasks, etc.) are from previous lessons, current work, mixed problems (new concept mixed with previous concepts and procedures) so that no two consecutive problems require the same strategy. Students must choose an appropriate strategy, not just execute it, just as they would be required to choose a strategy for a problem during a cumulative examination or high-stakes test. Whereas blocked practice provides a crutch that might be optimal when students first encounter a new skill, only interleaved practice allows students to practice what they are expected to know. One-third of the homework assignment must be cumulative in nature. It should include representative problems from previous concepts and procedures. Whatever has been covered in the classroom during the year should find its representation in daily practice and assigned homework. In other words, what was covered in the months of September or October should continue to appear in the month of March or April. Such an assignment makes connections and achieves fluency. Consider, for example, the connections between multiplication and fractions, fractions and ratios, and equivalent fractions and proportions. Or, the relationship between algebra and arithmetic. There is such a close relationship between algebra and arithmetic that algebra is often referred to as “generalized arithmetic.” Using the distributive property in multi-digit multiplication procedure, combining like terms, applying the laws of exponents, and other rules and procedures are the same for algebraic expressions as they are for arithmetic expressions (e.g., long division for whole numbers and division of a polynomial by a binomial; short division for whole numbers and synthetic division for polynomials). This part of the homework plays an integrative role in learning the material in the curriculum and provides opportunities for reflection. This part is to improve fluency and smoother recall of learned material. Familiarity and success on these problems emphasizes and meets the need for structure and success of the R-Complex and the limbic system. Another objective is to consolidate learning and connect concepts, procedures, and language. The topics, skills, and procedures mastered must be revisited on a regular basis. The memory traces of the learned skills must be retouched regularly because knowledge atrophies over time if not maintained. Another one-third of the homework must be a true copy of the work done in the classroom that day. The objective of this component of the homework or practice problems is to consolidate the material learned in the classroom and continues the learning outside the classroom. It also helps to remain current in the material. If the teacher has covered the odd problems in the section of the book, then she can assign the even problems for homework. When homework is assigned for the purpose of practice, it should be structured around content. Students should have a high degree of familiarity with the material assigned. Homework relating to topics that have not been clearly understood and a level of competence has not been achieved should not be assigned. Practicing a skill with which a student is not comfortable is not only inefficient but might also serve to habituate errors and misconceptions, and high probability of non-compliance. True mastery requires practice. But again, quality often matters more than quantity when it comes to practice. If students believe they can’t solve a particular problem, what is the point of assigning them 20 more similar problems? And if they can solve a problem in their sleep, why should they do it again and again? The objective of this segment is to develop procedural fluency. Both fact fluency and procedural fluency can be developed in the class and through homework. Procedural fluency builds conceptual understanding, strategic reasoning, and problem solving. It involves applying procedures not only accurately but also efficiently and flexibly and recognizing when one strategy or procedure is more appropriate than another. To help students develop procedural fluency, teachers must therefore assign problems that are conducive to discovering and discussing multiple solution strategies. And once again, this doesn’t require elaborate problems. Sometimes it’s just a matter of recognizing the learning potential within straightforward problems. Here’s a simple problem that generates rich discussion and helps students develop procedural fluency and number sense related to fractions: Find five fractions between 2/5 and 4/6. Describe your approach and reasoning for it. (This problem can be assigned as you’re practicing the ordering of fractions. It makes students think about all the ways of approaching it: common denominator, common numerator, converting to decimals, and comparing with a benchmark fraction such as 1/2). You do not have toavoid using or assigning problems from textbooks. Make thoughtful, intentional choices that help students learn and like mathematics and feel good about themselves in the process. The problems in the last one-third of the homework should be (a) moderately challenging or (b) one or two-word problems from a previous topic. These problems are not mandatory but for those who want to solve these problems. Students can trade one problem from this set with two in other parts. These problems should add some nuance or subtlety to the problems of the type done in the classroom, or application of the concepts and procedures discussed in class during previous topics. Or, this component may introduce a related concept or procedure. This component helps to prepare students for new content or to have them elaborate on content that has been introduced. Through these problems, even when students have demonstrated mastery of a skill, students can gain a deeper understanding of the math involved. For this to happen, teachers must assign the right problems and be prepared to scaffold students’ understanding. Here is one such problem that stretches students including those who have mastered or memorized the laws of exponents: Which is greater: 240 + 240or 250 ? Can you prove your assertion? Assign problems students are likely to mess up, and then help them learn from their mistakes so that they don’t make the same mistakes again. Mistakes make us learn more. Do not prevent students’ mistakes, prepare them for learning through them. Discuss student mistakes, misconceptions, and lack of understanding them in class. Help them to find mistakes and their causes. When they do make a mistake, give a counter example and create cognitive dissonance in their minds. The problems, in this section, become the starting point for the next day’s lesson. In that sense, they are a kind of preview of the next lesson. For example, a teacher might assign homework to have students begin thinking about the concept of division prior to systematically studying it in class. Similarly, after division of whole numbers has been studied in class, the teacher might assign homework that asks students to elaborate on what they have learned and how this will extend division of whole numbers by simple fractions. In both situations, it is not necessary for students to have an in-depth understanding of the content. The objective of these problems is to further the learning. It doesn’t matter if students do not solve any of the problems from this part of the homework as it will become the introduction to the next lesson. This part of the homework is to challenge the student and should be of a moderate level of novelty. It might invite participation from other members of the family. These problems are assigned so that students who need a challenge get it. These problems satisfy the needs of the neocortex. Every quiz, every test, and examination are set from the problems (or a very close replica) assigned in the homework throughout the year. Homework with these components is an example of interleave practice homework. The students take a while to warm to this new type of homework because it has been so long since they have actually seen how to do a particular problem. But once they get used to it, students like the new homework. When they are reviewing the old concept or procedures, there is an aha moment — “oh I remember that.” This increases confidence and compliance. This interleaving effect is observed even though the different kinds of problems are superficially dissimilar from each other. Interleaving of instruction and homework improves mathematics learning not only by improving discrimination between different kinds of problems but also by strengthening the association between each kind of problem and its corresponding strategy. Interleaved practice has these two critical features: Problems of different kinds are intermixed (which requires students to choose a strategy), and problems of the same kind are distributed, spaced, across assignments (which usually improves retention). Spacing and choosing strategies improves learning of mathematics and performance on delayed tests of learning. The interleaving of different kinds of mathematics problems improves students’ ability to distinguish between different kinds of problems. Students cannot learn to pair a particular kind of problem with an appropriate strategy unless they can first distinguish that kind of problem from other kinds and interleaved assignments provide practice to learn this discrimination. In other words, solving a mathematics problem requires students not only to discriminate between different kinds of problems but also to associate each kind of problem with an appropriate strategy, and interleaving improves both skills. Aside from improved discrimination, interleaving strengthens the association between a particular kind of problem and its corresponding strategy. The abilities to discriminate and associate strategies are critical skills for doing well on cumulative examinations, such as standardized tests, SAT, achievement tests of different kinds. Since most of these examinations are cumulative and different kinds of problems are organized in it, students need to have mastered the critical skill of discriminating between the different types of problems. Research on error analysis showsthat the majority of test errors take place when students have practiced using the blocked assignments but much fewer when they have practiced interleaved conditions. The errors occur because students, in blocked practices, are accustomed to choosing strategies corresponding to the assignments; they have learned identifying strategies in isolation, so when they encounter the problems in combination they mix them up. Through practice in interleaving situations, fewer errors are possible because interleaving improves students’ ability to discriminate one kind of problem from another and discriminate one kind of strategy from another. Blocked assignments often allow students to ignore the features of a problem that indicate which strategy is appropriate, which precludes the learning of the association between the problem and the strategy.Blocked problems also lack subtleties and nuances. Blocked practice allows students to focus only on the execution of the strategy, without having to associate the problem with its strategy. Helping students develop the discipline of completing homework is key to becoming independent and lifelong learners. Ifa student is not able to complete the homework on the first try, the teacher should ask the student to complete it after the material has been covered in the class. Although the teacher may collect work to record students’ progress, it should not detract from the responsibility given to the student for successful completion of all problems. As we expect every child to read fluently with comprehension by the end of third grade, we should expect every child to have mastery of numeracy with understanding by the end of fourth grade so that they can access and learn mathematics easily, effectively, and efficiently. Then, they can appreciate the reach of mathematics, its utility, power, and beauty. To do so is to understand number, acquire numbersense and build the brain for fluency in numeracy and beyond. Through learning, practicing, and applying knowledge of the number concept, numbersense, numeracy, and mathematical way of thinking children will have access to higher mathematics. Many of my students do not have “good” numbersense. How do I develop “good” numbersense in my students so that I can teach my curriculum at grade level? I wish my students knew their facts. No numbersense! How can I teach my grade level material, when they do not even have a sense of the place value of whole numbers? No numbersense! The concept of numbersense is important for learning higher mathematics and also for day-to-day living. When I evaluate children from elementary to high school and even college students and adults, for learning problems in mathematics, most times it is the lack of mastery of numbersense that is at the base of many students’ difficulties in mathematics. What is the meaning of numbersense? How do we define it? How does it develop in children? How do we develop and teach it? What student behaviors must be evident when it is present? What are the component skills necessary to learn and master it? How do we know the child has acquired it? How do we assess it? What are the levels of its achievement? How should it manifest at each grade level? What is its role in learning other mathematics concepts? What are the implications if it is not acquired? Till these questions are answered in the teacher’s mind, the concept cannot be developed in children and assessed. A teacher’s instructional methodology for this concept depends on how it is understood. In the next several blogs, I plan to answer the questions posed above. From Kindergarten to upper elementary school, three major concepts form the foundation of arithmetic. They are also essential elements and building blocks in learning higher mathematics concepts, skills, and procedures. These are number concept, numbersense, and numeracy. Numbersense depends on the mastery of number concept, and its mastery is essential for the development of numeracy. The mastery of the concept and numbersense skills is the integration of three major components and skills. When students have mastery of these individual skills, they develop competence in numbersense and numeracy by integrating these skills. Numbersense is a developmental and hierarchical concept. The type and level of mastery of arithmetic facts and place value varies from grade to grade; therefore, the concept and skills related to numbersense change and become complex and more demanding from grade to grade. The following are the non-negotiable component skills for the development of numbersense at each grade level. This does not mean nothing else other than these needs to be learned at these grade levels. Non-negotiable skills at any grade level mean that other concepts, procedures, and skills can be mastered easily if these non-negotiable skills are mastered. The major goal of the first three years of mathematics curriculum (K through second grade) is to master additive reasoning: understanding the concepts of addition and subtraction, fluency of addition and subtraction facts, mastery of addition and subtraction procedures, applying these skills into solving problems, and knowing that they are inverse operations of each other. It means that: (a) given an addition problem, one can transform it into a subtraction problem and vice-versa, 23 + 12 = 35, 12 + 23 = 35 and 35 – 12 = 23, and 35 – 23 = 12, (b) when two numbers (10 and 9 are subtracted) from a given number (27), then the (27 –10 = ?, 27 – 9 = ? ), then are being subtracted from a given number, then the remainder is larger from the given number in the case of the smaller number being subtracted from it (27 –10 17, 27 –9 = 18), (c) the difference of two number (51—29 = ?) will remain the same when the problem is translated by a number ((both numbers are translated by 2 units: 52 – 30 = 22 and 51 –29 = 22), etc. The major goal of the third and fourth grades mathematics curriculum is to master multiplicative reasoning: understanding the concepts of multiplication and division, fluency in multiplication and division facts, mastery of multiplication and division procedures, applying these skills into solving problems, and knowing that they are inverse operations of each other (given a multiplication problem, one can transform it into division problem and vice-versa). Numeracy is both dependent on numbersense and aids in the development of numbersense; in this sense it is the culmination of numbersense. Numeracy is the ability and facility of a student to execute four whole number arithmetic operations correctly, consistently, and fluently in the standard form with understanding. By the end of fourth grade, every child should have mastered numeracy. See an earlier post on this blog on non-negotiable skills at elementary school level. What is Needed to Fight Stereotype? Instructional strategies (knowledge of pedagogy, choice of instructional materials/models, selection and sequencing of introductory and practice exercises, amount of time devoted on mathematics instruction—tool/skill building, main concept, collaboration, practice, problem solving, etc.). As educators and policy planners we react to situations where stereotypes are manifested. Then we seek easy solutions: we increase the number of female and minority faculty, provide mentors, and actively recruit students in STEM programs. These changes provide only opportunity for positive impact, but to have long lasting effect, they need to accompany significant changes in pedagogy, understanding of learning issues and the aspirations, assets—strengths and weaknesses of these students, the nature of classroom interactions, type of assessments, and the nature of feedback. For example, even when the number of females and minorities increases in STEM programs, not enough students remain in the programs. It is because they may not have the information about what kinds of pre-requisite skills they need to succeed in these programs. How to acquire these pre-skills? What efforts should they make to succeed? They may not know how to be effective and successful learners. They may not know what types of jobs they can get if they succeed in STEM programs. When they perceive that they are not succeeding, they change course, programs, and aspirations for careers. Differences in students’ familiarity with mathematics concepts explain a substantial share of performance disparities between socio-economically advantaged and disadvantaged students and males and females. Many children, particularly girls and minorities, do not get exposure to quality mathematics content and effective pedagogy. 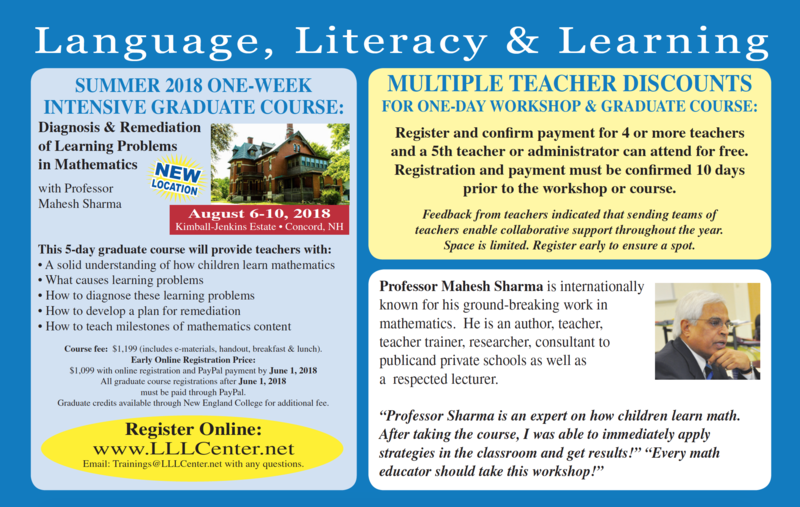 Access to proper and rich mathematics language, transparent and effective conceptual schemas, and efficient and generalizable procedures is the answer to higher mathematics achievement for all students and fewer inequalities in mathematics education and in society. When gender differences in math confidence, interest, performance and relations among these variables are studied over time, results indicate that gender differences in math confidence are larger than disparities in interest and achievement in elementary school. Research shows that confidence in math has become a major problem for girls and many minority children. It is one of the reasons women are vastly outnumbered by men in STEM professions later in life. Differences in math confidence between boys and girls show up as young as grade 2 and 3, despite girls and boys scoring similar marks. That trend continues through high school. According to several studies, about half of third grade girls agree with the statement that they are good at math compared to two-thirds of boys. The difference widens in grade 6, where about 45 per cent of girls say that they are good at math compared to about 60 per cent of boys. This information is important for teachers as these attitudes are significant predictors of math-related career choices. Early gender differences in math interest drive disparities in later math outcomes. At the same time, math performance in elementary school is a consistent predictor of later confidence and interest. There is a reciprocal relation between confidence and performance in middle school. Thus, math interventions for girls should begin as early as first grade and should include attention to developing math confidence, in addition to achievement. Even in preschools, the kind of games and toys children play with can determine the development of prerequisite skills for mathematics learning. Confidence in learning is a function of metacognition and that in turn develops executive function and cognitive flexibility. In elementary school, boys often utilize rote memory when learning math facts whereas girls rely on concrete manipulatives such as counting on fingers, number line, etc. And they use them longer than they should. Their arithmetic fact mastery puts boys in a better preparation for related arithmetic concepts (e.g., multiplication, division, etc.). These differences in strategies result in girls demonstrating slower math fluency (i.e. the ability to solve math problems related to arithmetic facts quickly) than boys. Both these methods (mastery by rote memorization and prolonged use of counting materials) are inefficient for arithmetic fact mastery for anyone. But, these inefficient strategies reinforce the gender stereotype for girls. Girls may blame their slower mastery of facts on being girls rather than the inefficient methods and strategies. These inefficient models, methods, and strategies might bring higher achievement in elementary mathematics up to grade 3 and 4 (one can answer addition, subtraction, multiplication, and division problems by sheer counting), but they do not develop skills that are important for later concepts (e.g., difficulty dealing with fractions, ratio and proportion, and algebra as they are not amenable to counting). As a result, the average mathematics achievement of an average American is fifth-to-sixth grade level. Knowing that a/b = 1,for any a and b and b ≠0, and that multiplying by a/a (by a fraction whose value is 1) gives an equivalent fraction. Applying it to other facts, mathematics concepts, and/or to problems. to Algebra [Seeing it as generalization of arithmetic ideas and procedures; arithmetic of functions and expressions; modeling of problems by algebraic systems (e.g., linear, exponential and logarithmic, absolute and piece-wise); concept of and operations on polynomials—with specific emphasis on quadratic and trigonometric; concept of transformations and their applications; systems of equations, inequalities, etc. generalizable skills (moving from strategies that give the exact answer to efficient strategies that give the accurate answer easier and quicker with less effort and then move to strategies that are elegant—that can be abstracted into formal systems, and can be extrapolated), etc. Inefficient strategies and simplistic definitions and models such as addition is counting up/forward, subtraction is counting down/ backwards, multiplication is skip counting forward, and division is skip counting backwards (e.g., counting objects, fingers, number positions on the number line, etc.) are inefficient formulations of these concepts. They are counter-productive to creating interest, flexibility of thought and confidence in mathematics because they do not expose children to the beauty and power of mathematics. Mathematics is the study of patterns, it has deep underlying structures, and it is based on the regularity of principles in its concepts. Its power lies in the collection of concepts and tools for the modeling of problems from diverse fields from anthropology to space and methods of solving them. Ability to apply this information in diverse situations (e.g., intra-mathematical, interdisciplinary, and extra-curricular applications). When girls are encouraged to continue counting to find answers, they become self-conscious of their strategies and give up easily. This happens to boys too. But, in most cultures boys are given more support and encouragement. In addition, the stereotype that “boys are good in math and girls are good in reading” gives boys the benefit of doubt—they will ultimately outgrow inefficient strategies. Explore how integrating concepts and technology appropriately enhances student understanding across grades. When students are exposed to interesting and challenging problems from early grades and are shown clear developmental trajectory of each concept and procedure, they see connections between concepts. When students see the relationships between mathematics tools—strategies, skills and procedures and problems and where do these problems come from they remain engaged. This is particularly true about many female students as they are not sure of their competence. When problems are selected and their relationship with the STEM fields is made transparent, students get interested in these fields. Many students do not know what types of problems are solved in different fields. For example, in surveys 34 percent more female students than male students say that STEM jobs are hard to understand, and only 22 percent of the female respondents name technology as one of their favorite subjects in school, compared to 46 percent of boys. Turning students’ interest toward mathematics and then STEM has to be a school-wide effort. Every educator (teachers—regular and special education, administrators, guidance counselors, coaches, para-professionals, etc.) should be aware of their own beliefs about math, gender/minorities, and their biases. For example, I have observed interactions between many adults (including principals) openly admitting their incompetence in mathematics to students. Here is a sample of interaction between a guidance counselor and two ninth grade students. Female Student: Mr. Wilson, I am having very difficult time in my algebra I class. It looks like I do not have what it takes to be successful in Algebra I. I guess, I need to be taking the simpler algebra course or pre-algebra again. Could you please sign this paper for change of course? Guidance Counselor: Let me see! Do you have a note from the teacher or your parents? Yes, algebra is kind of difficult. I have seen, over the years, more girls changing from this Algebra I class to easier courses. Have you tried getting some help from your algebra I teacher? Female Student: I tried. I went to her a couple of times. It did not work. I will get a note from my father. He did warn me that algebra might be difficult. I will see you tomorrow. Male Student: Mr. Wilson, I am having great deal of difficulty in my algebra I class. It looks like I do not have what it takes to be successful in Algebra I. I guess, I need to be taking the simpler algebra course or pre-algebra again. Could you please sign this paper for change of course? Guidance Counselor: Let me see! Did you do poorly on the first test? You know the first test in a course is not really an indication of poor preparation for a course. One has to get used to the new material and the teacher—her style of teaching and her expectations. Now do you know what the teacher wants? Have you tried getting some help from your algebra teacher? You know she is one of the best teachers in our school. I know she is a little demanding, but she is an excellent teacher. Male Student: Yes, she is demanding. Not a little, but a lot. GC: You should join a study group. David, your friend on your soccer team, he is very good at math. Have you asked him for help? He even lives near you. Why don’t you try the course for few more weeks, maybe till the next test and then you still have difficulty come see me. Meanwhile, I will talk to your teacher. By the way, before you come see me next time, get a note from the teacher explaining that you did try. And, I also need a note from your parents so that they know about your changing the course? I know, algebra is kind of difficult, but trying is even more important. Male Student: I guess, I will give it another try. If it doesn’t work, I will come to you, again. Yes, I will get a note from my mother. My father wants me to have algebra on my transcript. He says: “It looks good for college applications to have algebra in eighth grade or latest in ninth grade. I will see you later. Quality instruction has the greatest impact on student achievement and the development of a positive attitude about a subject matter. The major changes in student outcomes are obtained by teachers’ instructional actions. Generally, the premise is that teachers who implement effective instructional strategies will, in turn, help students use mental processes that enhance their learning. However, it is not enough to merely use an instructional strategy; it is more important is to ensure that it has the desired effect on student learning. The opportunity to learn and the time students spend learning quality mathematics content and practicing meaningful and rigorous mathematics tasks assure higher mathematics achievement. Differences in students’ familiarity with mathematics concepts explain many performance disparities between socio-economically advantaged and disadvantaged students and between females and males. Widening access to meaningful mathematics content—proper mathematics language, efficient, effective, and generalizable conceptual schemas, and efficient and elegant procedures—are the answers raising levels of mathematics achievement and, at the same time, reduce inequalities in mathematics education. Poor learning environments and poor mathematics teaching create gender, race, and class disparities in quantitative fields, and the gaps begin to develop as early elementary school. Initially small and subtle, they grow into causative factors for low achievement in and avoidance of mathematics in high school, college, and even graduate school. They become most pronounced in quantitative professions such as university-based mathematics research and STEM fields. It is worth noting that women who drop out of quantitative majors do not tend to have lower scores on college entrance exams or lower freshman grades than their male peers. Females are leaving math fields when they are performing just fine; it is therefore worth considering that the reasons hardly lie in them, but in our educational environments that might induce them to leave. Various explanations exist for gender differences, beginning with small differences in elementary school to consequential differences in high school, undergraduate mathematics classes, advanced mathematics, and in math-related career choices. Below we summarize some of the factors that contribute to gender, race, and ethnic differences in mathematics and math-related courses and career choices. Even from a young age, girls are less confident and more anxious about math than boys. These differences in confidence and anxiety are larger than actual gender differences in math achievement. The differences are shaped by the social attitudes of adults toward work, careers, education, and achievement. These attitudes are important predictors of later math performance and math-related career choices. Early perceptions and attitudes formed at home and in early childhood classrooms form the basis of future attitudes toward learning. For example, many parents read to their children regularly and with interest. This instills the love for literacy and learning. During this reading, some parents do discuss the quantitative and spatial relations—ideas about number, number relationships, and numeracy, in the reading material. Many families play board and number games and with toys that develop prerequisite skills for mathematics learning . From early childhood, traditionally, boys and girls play with toys and engage in games that are responsible for the development of different types of skills. Boys engage in activities that develop spatial skills and girls participate in games and toys that develop sequencing skills. For example, boys tend to be stronger in the ability to mentally represent and manipulate objects in space, and these skills (ability to follow sequential directions to manipulate objects mentally, spatial orientation/space organization, visuo-spatial representation, rotations, transformations, pattern recognition and extensions, visualization, inductive reasoning, etc.) predict better math performance and STEM career choices. In teaching mathematics, it is important to use those models—concrete materials, visual representations (diagrams, figures, tables, graphs, etc.) that develop these skills and to make up earlier deficits in these skills and aid in the development of numeracy skills effectively. Attitudes thus formed about quantitative and spatial relations become the basis of later interest and competence in numeracy and its applications. By high school, these skills and related attitudes are well established. Personal aptitudes and motivational beliefs in the middle and high school have profound impact on individuals’ interest in science, technology, engineering, and mathematics in college and later in choice of occupations and professions. Occupational and lifestyle values, math ability, self-concept, family demographics (particularly, financial and educational status of family), and high school course-taking more strongly predict both individual and gender differences in STEM careers than math courses and test scores in undergraduate years. People’s life styles, values, attitudes, and interests and that of those around them influence gender and class differences about occupational and career choices and the role of work in their lives. For example, women tend to care more about working with people, and men tend to be more interested in working with things. This difference, in turn, relates to gender-gaps in selection of math-related careers and even within STEM disciplines—health, biological, environmental and medical sciences (HBEMS) versus mathematics, physical, engineering, economics, accounting, and computer sciences (MPEEACS). Women’s preferences for work that is people oriented and altruistic predict their entrance into HBEMS instead of MPEEACS careers. For example, for the first time ever, women make up a majority (50.7 percent) of those enrolling in medical school, according to the Association of American Medical Colleges. In fall 2017, the number of new female medical students increased by 3.2 percent, while the number of new male students declined by 0.3 percent. Women prefer biological sciences, where they represent 40% of the workforce, with smaller percentages found in mathematics or computer science (33%), the physical sciences (22%), and engineering (9%). To change this phenomenon active intervention and education are needed. Mathematics is the study of patterns in quantity, space, and their integration. This means mathematics is thinking quantitatively and spatially. For example, in elementary school, understanding the concept of place value in representing large numbers is the integration of quantity and space. We are interested in a digit’s quantitative value in the number by its location in relation to other digits in the number. Similarly, coordinate geometry is a good example of this integration: each algebraic equation and inequality represents a curve in space and every curve can be represented by a system of equations/inequalities. Thus, to do better in mathematics and in subjects dependent on mathematics, one needs to have strong visual/spatial integrative skills: the ability to visualize and see spatial organization and spatial orientation relationships. Students who are poor in these skills, generally, have difficulty in mathematics. Those students who can do well in arithmetic up to fourth grade by just sequential counting begin to have difficulty later when concepts become complex (e.g., fractions, ratio, proportion, algebraic thinking, geometry, etc.). Then they blame themselves for their failures in mathematics – “I cannot learn mathematics.” “Mathematics is so difficult.” However, to a great extent, the reality lies in lack of these prerequisite skills and inefficient strategies. The prerequisite skills for mathematics learning can be improved through training and intervention. Gender differences in spatial abilities and visual-spatial skills can be reduced and/or stronger compensatory strategies can be developed with effective interventions. The pattern of differences in the prerequisite skills for mathematics learning can be broken through these intervention programs. The types of games and toys children play, in early childhood, determine the fluency in these skills. This means that one way forward is to ensure that all students spend more “engaged” time learning core mathematics concepts, solving challenging mathematics tasks, acquire prerequisite skills for learning mathematics. Success in STEM fields depends on a person’s ability to apply efficient math strategies and exposure to diversity of problem solving strategies. For that, students need to engage in thinking both quantitatively—analyze ideas and strategies (deductive thinking), and qualitatively—synthesize ideas (inductive thinking). Thinking quantitatively means developing a strong numbersense and its applications. Thinking spatially/qualitatively means seeing patterns in numbers, shapes, objects, and seeing connections amongst ideas. Research and observations show that in our schools boys tend to and are encouraged to use novel problem-solving strategies whereas girls are likely to follow school-taught procedures. In general, girls more often follow teacher-given rules in the classroom. It could be that girls are trying to fit in the class and they learn that these behaviors are rewarded. This tendency inhibits their math explorations, innovations, and the development of bold, efficient, and effective problem-solving skills. They need to explore and acquire strategies that can be generalized to multiple situations than just solving specific problems. Such differences in learning approach and types of experiences contribute to gender related achievement gaps in mathematics as content becomes more complex and problem-solving situations call for novel approaches rather than just learned procedures. The rigorous use of the Standards of Mathematics Practices (CCSS-SMP) in instruction at K-12 level and student engagement in collaborative and interdisciplinary research and internships at the undergraduate level can better prepare our students for higher mathematics and problem solving. Then, they will stay longer in STEM fields. To be attracted to and stay in mathematics, students need to engage from a very early age with appropriate and challenging mathematical concepts. That means to experiment more and experience widely. This happens when they collect, classify, organize, and display information (quantitative and spatial); analyze, see patterns and relationships, arrive at and make conjectures; and communicate these observations using mathematics language, symbols, and models. These skills are central to a person’s preparedness to tackle problems that arise at work and in life beyond the classroom. Unfortunately, many students do not have a rigorous understanding of basic mathematics concepts (integration of language, concepts, procedures, and skills) and are not required to master these skills. In school, they practice only routine tasks procedurally that do not improve their ability to think quantitatively and qualitatively and solve real-life, complex problems—involving multiple concepts, operations, and meaningful ideas. Mathematics also means communicating mathematical thinking using mathematics language, symbols, diagrams, models, mathematical systems: expressions, systems of equations, inequalities, etc. All these skills are central to a person’s preparedness to tackle problems that arise at work and in life beyond the classroom. The best approach to keeping students in the STEM fields is not only to give them skills but also to give them the “taste” of success in applications of mathematics in problem solving. Success is more likely when interdisciplinary departments take collective responsibility for introductory course curricula in STEM fields. For example, mathematics teachers should select application problems from the STEM disciplines so that students see connections between use of mathematics tools and concepts and the nature of the problems they can solve from other disciplines. Along with interdisciplinary integration, there should be active collaboration between K-12 and undergraduate curricula, pedagogy, instructional strategies, and teachers. To improve the situation, colleges and universities should collaborate more, with K-12 schools, industry, and one another. Intra-mathematical applications: Applying a concept, method, procedure, or strategy from one part of mathematics to solve a problem in another part of mathematics. For example, solving a geometry problem using algebraic equations; seeing the study of coordinate geometry as the integration of algebra and geometry; understanding statistics as the integration of algebraic concepts (e.g., permutation/combination, binomial theorem), geometry (e.g., representation and presentation, graphing, and displaying of data, etc. ), and calculus (differentiation and integration of probability functions), etc. Interdisciplinary applications: Applying mathematics modeling to problems in other disciplines (e.g., understanding and explaining concepts and principles in physics, chemistry, economics, psychology, etc. using mathematical models and systems). Students should understand and realize that mathematics is used first for understanding and explaining physical phenomenon and then mathematics modeling for solving problems in natural, physical, biological, and social sciences. For example, understanding the airline routing problem using mathematics (linear and non-linear programming, and permutation/combination, etc.) and then extend the approach to modeling similar problems. Extra-curricular applications: Applying mathematics in solving problems in real life through group projects, independent and small group research, etc. This involves applying combination of skills from different branches of mathematics in solving real life problems. The skills involved are: identifying a problem; asking right questions about the problem and solution requirements and constraints on solutions; defining knowns and unknowns; identifying unknowns as variables; identifying and articulating relationships between knowns and unknowns—functions, equations, inequalities, etc. ; identifying already known facts relating to the problem and the variables involved, postulates, assumptions, results that apply in this situation; developing strategies for solving the problem; collecting data, classifying, organizing, displaying the data; analyzing data; observing patterns in the data; developing conjectures/hypotheses, and results; solving the problem; relating the solution to the original problem; conclusion(s); if needed rethinking/redefining the problem with modified conditions and restraints; etc. The course planning, design and course delivery are, therefore, more than a sole faculty member’s task. Colleges and schools showing the most improvements in attracting and retaining students in STEM use teams of faculty, instructional-design experts, data analytics on student learning, administrative supports like teaching-and-learning centers, creative-learning spaces, mentoring and tutoring, and multiple means of delivery, and meaningful and timely feedback. An approach that is attracting more students into mathematics is undergraduate research, where students engage in independent individual or small group research projects for a sustained period of time under the supervision of a faculty member. To keep many more students in STEM fields cannot be the activity of an isolated individual or an office. To address the issue of female and racial achievement gaps university and school reforms must be campus-wide and embraced by all faculty members in order for women, black and Latino students to truly thrive. Schools must also move away from forcing students of color into remedial programs before their participation into proper programs. Those students need to learn how to navigate the boundaries of the different social worlds that make up higher education. They have to learn how to “try on” the identities of the professions, to feel that they own them and have the right to play in them. This approach is in opposition to remedial programs, which lead people to think of themselves as outsiders, inferior, and not worthy of achievements. With remedial programs, they learn math as a compliance activity. Achieving change takes total campus/school commitment, with the most powerful and knowledgeable people involved. Diversity offices can be supportive, but the power of the academy is in the hands of faculty. They can either motivate or demotivate a student from a course, program or degree. When everybody – faculty, staff, and administration, makes the success of students from different backgrounds a top priority on campus, only then can we make a difference. Our main goal should be to create conditions so that stereotype does not exist in our schools, but that will take time and a great deal of effort. Concurrently, we also need to minimize the effect of current conditions that have been affected by stereotype. Here are some strategies for improving mathematics instruction for all and for making sure that children do not adopt the cultural stereotype that math is for a select few. Placing students in ability groups, particularly minority and low performing female students, is the beginning of closing doors for meaningful mathematics and STEM. Some instruction grouping may be considered at sixth grade and beyond. But these groupings should be to accommodate interventions—both for gifted and talented and those who struggle, not in place of regular classes. From seventh grade on there may be two levels: honors and regular. However, each group should be provided challenging and accessible instruction that is grade appropriate and rigorous in content. The difference should be on time on task rather than in the quality of content or nature of instruction. Teachers should ensure that each and every student has access to meaningful curriculum and effective instruction that is balanced with respect to rich language of mathematics, strong conceptual understanding using multiple models and representations, efficient procedures and fluency, diverse and flexible problem solving, and the development of a productive disposition for mathematics. Each teacher should provide every student the opportunity to learn grade-level or above mathematics using efficient strategies and provide the differentiated and targeted instructional support necessary for every student to successfully attain this goal. However, some may need more and others may need less practice to reach proficiency. For example, to differentiate, all students should be asked questions appropriate to their level but on the same concept or procedure being taught in the class. Differentiation does not mean making groups and teaching them lower or higher level mathematics. Differentiation should offer children exercises and problems at different levels but on the same grade level concept or procedure. Small groups and individualization can be organized for brief but frequent periods of practice, reinforcement, and deepening their understanding, but not for initial teaching and for long intervals. Students learn more from other students than from most teachers. Teachers can make this happen. Teachers should affirm and help students develop their mathematical identities by respecting their mathematics learning personalities. For example, each student falls on the mathematics learning personality continuum of learning mathematics processes. On one end of this continuum are students who process mathematics information parts-to-whole. They process information sequentially, deductively, and procedurally. They are known as quantitative mathematics learning personality students. They are very strong on procedural parts of mathematics. They need more work on language and concepts of mathematics. On the other extreme are students who process information from whole-to-parts. They look for patterns, relationships, and commonalities in concepts, ideas and procedures. They use inductive reasoning to process mathematics ideas. This is called qualitative mathematics learning personality. They are strong in concepts, making connections and applications. However, they need support and reinforcement in mastering standard procedures. Instruction should be to make sure that the needs of all students are met and complement their mathematics learning personalities. To engage all students, it is important to be cognizant of different ways people learn mathematics. Teachers should view students as individuals with strengths, not deficits. This manifests when they value multiple contributions and student participation and recognize and build upon students’ realities and strengths. multiple expressions for and demonstrate their knowledge in multiple ways—models (in words, symbols, tables, graphical, equations), forms, and levels (concrete, pictorial, abstract/symbolic, etc.). Tool building—identifying the tools necessary for students to be successful in the main lesson and quickly reviewing them (orally using the Socratic method) before the main lesson (e.g., commutative property of addition, N+ 1, making tens, and what two numbers make a teens’ numbers before beginning addition strategies; rules of combining integers before solving equations; prime factorization before reducing fractions to lowest terms; differential coefficients of important functions before starting integration of functions, etc.). During the main lesson—if during the lesson a concept is found to depend on a previous concept, briefly review that concept in summary form and write important formulas to be used in the new concept (e.g., divisibility rules during fraction operations; laws of exponents during combining polynomials; addition strategies during teaching subtraction strategies; important algebraic expressions before factoring: (a + b)2 = a2 + 2ab + b2, (a – b)2 = a2 – 2ab + b2, (a + b) (a – b) = a2 – b2, etc.). Individual and small group practice—at the end of the group lesson on a major concept, making small groups and helping each group of students to practice skills, concepts at different levels and helping them to practice previous concepts. Intensive intervention—organizing and providing intensive intervention for select students (e.g., those with dyscalculia, learning problems in mathematics, gaps in previous concepts and procedures, etc.). This type of intervention should be provided by specialists after or before class and should be in addition to regular math education instruction (math specialists with mastery of mathematics concepts and understanding of learning problems in mathematics using efficient and effective methods, not by a special educator who is weak in mathematics). Quality instruction goes a long way toward keeping students — especially underrepresented minorities and women in the STEM fields. But measuring educational quality is not easy. Assessing the quality and impact in STEM at the national level will require the collection of new data on changing student demographics, instructors’ use of evidence-based teaching approaches, deeper and meaningful student engagement, student transfer patterns and more. Most experienced, effective teachers (who have a clear understanding of the trajectory of the development of mathematics concepts and procedures and how children learn) should provide instruction to students who need more support rather than the least trained and least effective teachers and paraprofessionals. Highly effective teachers have the skills to support students who may not have previously been successful in mathematics. Effective teachers can make up almost three years of the result of poor teaching. Similarly, a poor teacher can nullify the gains of three years of effective teaching and even turn students off from mathematics. They are respected. Assigning simplistic work just to keep students in a program is not respecting learners of any kind and is insulting to their intelligence. A mathematics teacher should have fidelity only to (a) students and (b) to mathematics; teach meaningful math to all children in meaningful ways. The work should be challenging. Students should realize that although the work they are asked to do is challenging, it is accessible to them, they do indeed have the ability to succeed at it, and they believe that the teacher is there to help them succeed. The role of the teacher is to help them develop self-advocacy of their abilities, their strengths, and their usage. They trust the mentor and her intent and capacity to help achieve the mentee’s success. This means that they should feel secure that someone is there to help them to reach their goals; they believe in the process that they will have a higher level of skill set as the outcome and they will increase their potential to learn. Importance of learning skills. Student work should focus not just on the content of mathematics but on how to learn—planning, goal setting, organizing, gaining learning skills—developing executive functions, marshaling resources, self-assessment, self-advocacy, self-regulation, self-reflection, and seeking and using feedback properly. The emphasis in this kind of mentoring is on stressing the importance of the expandability of one’s learning potential and realization of one’s goals—in a sense intelligence itself—students should grasp and internalize the idea of the role of the plasticity of the brain in learning potential and learning. The intent of this mentorship is that at the end of these experiences (math courses, STEM program, etc. ), mentees realize the idea that intellectual ability is not something that one has a finite amount of, and that it can be increased with genuine effort, experience and training. The role of the mentor here is more than cheerleading; it is helping the mentees to reach new personal heights in success and the attitude that they are capable of learning mathematics. The increase in female representation in faculty and mentor roles, for example, has positive effects as long as they do not emphasize the uniqueness of their achievements and do not place undue pressure and importance on their mentees to view themselves as female mathematicians or scientists. The more our female math students are exposed to women role models who can show them that not only can women “do math” but also that their feminine identities need not be viewed as a liability, the more they are likely to view math environments as places where they can belong and succeed. The same applies to other underserved groups. The effects of stereotypes are far reaching. Research shows that stereotype threats induce undue pressures on women in the quantitative fields who are in the process of shaping their identities. Do women in mathematical arenas bifurcate their identities in response to prolonged exposure to threatening stereotype in these environments, or are women with bifurcated identities simply more likely to study mathematics? Research shows that because of the threat of negative stereotypes about female math ability many female math students (but not their peers in other fields) bifurcate their feminine identities. For example, in responding to stereotype threats, women in mathematics related fields often bifurcate their feminine identities, cutting off feminine traits they view as related to negative stereotype about female math ability and potential, and continuing to identify with feminine traits that they view as relatively unrelated to the stereotypes. They report keeping fewer feminine traits (e.g., sensitivity, nurturance, and even fashion-consciousness) in order to avoid negative judgments in math environments. They foster fewer feminine traits even though these may not lead to negative judgment. Thus, the stress of engaging in such adaptation could constitute yet another deterrent to women’s persistence in quantitative fields. Although sacrificing fashion-consciousness as an aspect of one’s identity may seem trivial, sacrificing an interest in having children does not. Similar pressures in identity formation are present on students from minority groups. Many minority students try to adapt to situations by sacrificing some of their positive traits. We need to understand that stereotypes affect not only others’ judgments but also people’s own judgments of their own competence. For example, new immigrants to the country respond to discrimination and stereotype by blaming themselves. They blame their lack of knowledge, skills—language, experience, and knowhow, and as a result harshly judge themselves. Some of them are negatively affected and others may succeed by paying a price in both cases. For example, first- and second-generation children of immigrants respond to these situations with skills and knowhow (e.g., Chinese, Indian, and East European immigrants children flock to STEM majors and want to succeed to fight discrimination); they do not fight against stereotype and place higher expectations on themselves. Many of these children feel a great deal of pressure to succeed. To reduce and nullify the effect of stereotype organized response is needed on several fronts. There is need for both systemic and tactical changes; change in systems and people that inhabit these organizations as these effects are situational. For this reason, the focus should be on both the people who are vulnerable to stereotypes and the organizations where the stereotypes exist (which applies to almost all organizations). First, the change has to come in these organizations to reduce and then to eradicate these conditions. Second, the affected groups need self-advocacy skills in responding to these situations. They need skills to achieve. They need skills in organizing and taking advantage of the positive situations. A good example of this is the METCO program in the Metropolitan Boston area. In this program, volunteer minority students (both male and female) from Boston public schools are bused to suburban schools instead of Boston Public Schools. These students get the opportunity to get a first-rate education in their suburban host schools. Moreover, the suburban students who realize the importance of this program and the schools who treat METCO students as their own also derive benefits. Many METCO students have gained skills from this program and many of them have gone on to become leaders in STEM fields. As the METCO example shows, along with systemic change, there is need to work at the individual level. There is need for a mindset change on the part of individuals to actively gain skills to minimize the negative effects of stereotypes. For example, we can a priory determine a group’s needs and aspirations. Women’s ideas about themselves, their academic and career needs, and aspirations cannot remain fixed. Therefore, just focusing on organizations may not be enough – we also need to focus on the individuals. Organizations—schools/colleges, social organizations, work places, and parents can do three key things to effect change. First, they can control the messages they are sending by making sure there are no negative beliefs about any group in the organization. For instance, an experimental study on the evaluation of engineering internship applicants found that the same resume was judged by a harsher standard if it had a female versus a male name. Applications should be judged by the same standard. Second, they can make performance standards unambiguous and communicate them clearly because when people don’t know what the standards are, stereotypes fill in the gaps. Last, organizations can hold gatekeepers in senior management accountable for reporting on gender, race, and ethnic disparities in hiring, retention and promotion of employees. President’s Council of Advisors (2012). Pre-requisite Skills and Mathematics Learning (Sharma, 2008, 2016). Sharma (2015). Numbersense a Window to Understanding to Dyscalculia in An International Handbook of Dyscalculia (Steve Chinn, Editor). For the role of prerequisite skills in mathematics learning see Games and Their Uses in Mathematics Learning by Sharma. A list of games that develop prerequisite skills can be requested (Mahesh@mathematicsforall.org) from the Center free of cost. Lost Einsteins: The Innovations We’re Missing by David Leonhardt, New York Times, Dec 3, 2017. Scott Jaschik (December 19, 2017), Women are Majority of New Medical Students. Inside Higher Ed. See Games and Their Uses by Sharma (2008). A shorter version of this book, Pre-requisite Skills and Mathematics Learning, in electronic form, is available free of cost from the Center. This document includes a list of games to develop these pre-requisite skills. See www.CCSS.org/math for the eight Standards of Mathematics Practices.